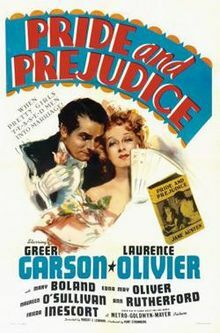 This entry was posted in Regency, Uncategorized and tagged Greer Garson, Jane Austen, John Mullan, Laurence Olivier, Mansfield Park, Mysteries of Udolpho, Persuasion, Pride and Prejudice, Sense and Sensibility, What Matters in Jane Austen by Angelyn. Bookmark the permalink. I really need to read that book by John Mullan. I am glad to know that being a bibliophile, I have something in common with Regency folks. Thanks for an interesting blog on Jane Austen. he is very perceptive–his research in depth. I know so much more about the Regency because of him. Lovely post. I like the definition of illiterate. Who would have thought? I’m glad you came by, Ella! Definitely ,mirrors my own definition of illiterate! There are so many people in my world who choose not to read and I truly think they have no idea what they are missing. Reading is considered such a mechanical activity these days. It will never achieve the standing it once had during the Regency. Interesting post, I have now learned something new today which I shan’t forget :). I’m so glad. You are kind to stop by! Excellent post. But yours always are! Oh, dear–I’m very late in responding to your nice comment and compliment of reposting–thank you so very much.